Ever play Scrabble? 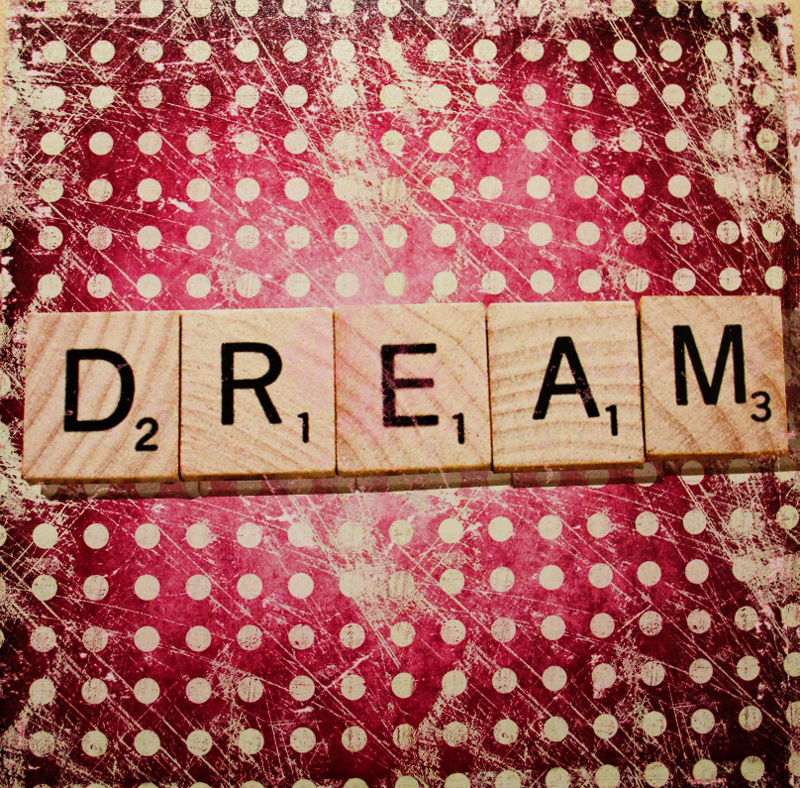 Point-wise the word “Dream”, is not too bad. But the idea is priceless. This is a house for sale in Old Town Spring, nearly ready for business. 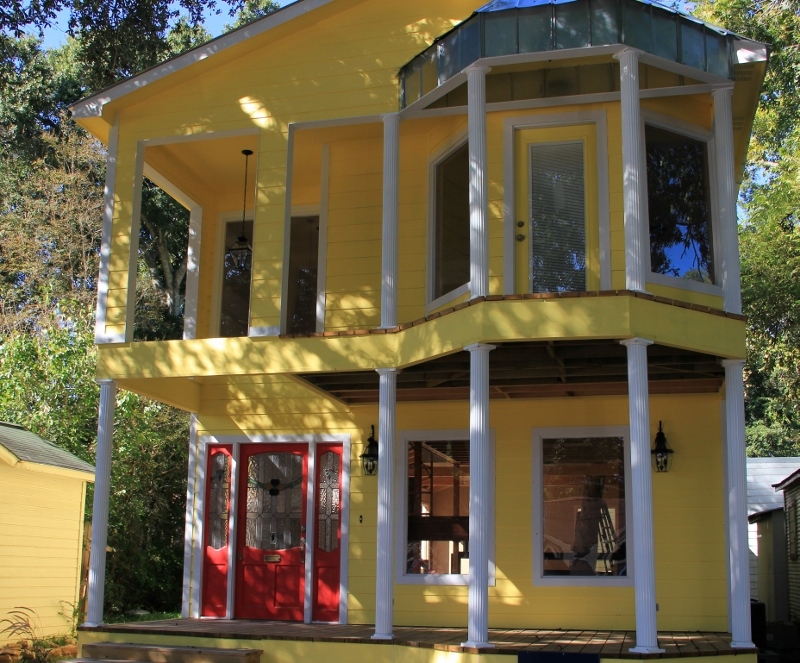 It’s bright, colorful, a lovely design, unique, the doors are impressive, the glass cover over the upstairs door interesting, but… did you notice the tree growing inside the house? You can see it in the lower right window next to the ladder. This looks like a fun house that dreams are made of. Don’t you think?